These are the approximate positions of the U.S. Navy’s deployed carrier strike groups and amphibious ready groups throughout the world as of Nov. 26, 2018, based on Navy and public data. In cases where a CSG or ARG is conducting disaggregated operations, the chart reflects the location of the capital ship. The Ronald Reagan Carrier Strike Group (CSG) spent Thanksgiving at anchor in Victoria Bay, Hong Kong, and is underway in the South China Sea today. 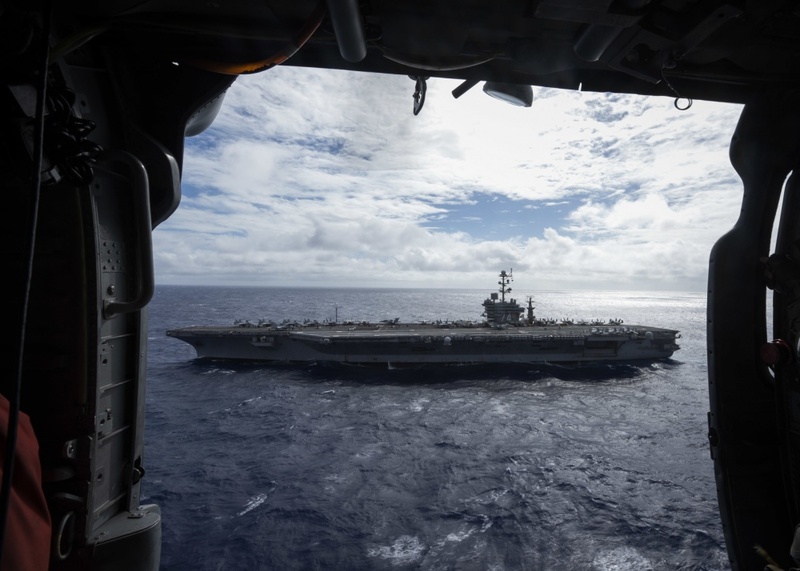 Carrier Air Wing 5 is embarked on USS Ronald Reagan (CVN-76). The Arleigh Burke-class guided-missile destroyer USS Milius (DDG-69) and the Ticonderoga-class guided-missile cruisers USS Antietam (CG-54 ) and USS Chancellorsville (CG 62), along with several other ships of the Forward Deployed Naval Force in Japan, are underway with Reagan. 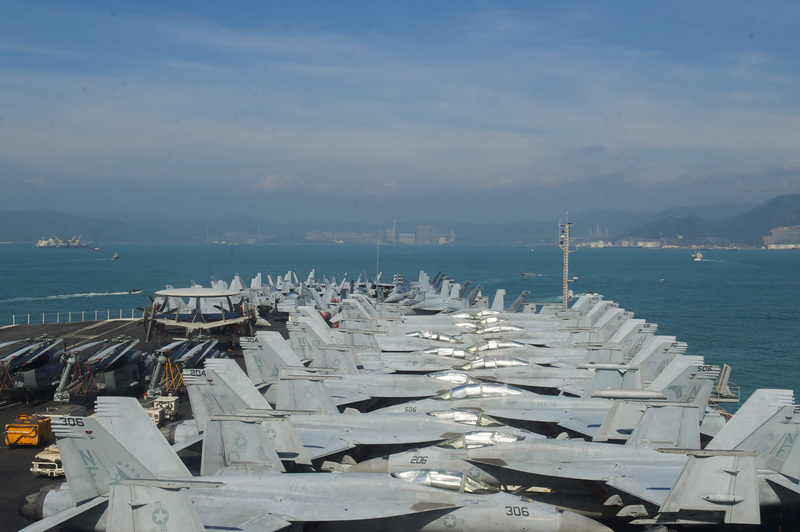 The John C. Stennis CSG arrived in Singapore on Nov. 24. USS John C. Stennis (CVN-74) steams through the Pacific Ocean. Navy photo. The “Black Aces” of Strike Fighter Squadron (VFA) 41 from Naval Air Station Lemoore, Calif. 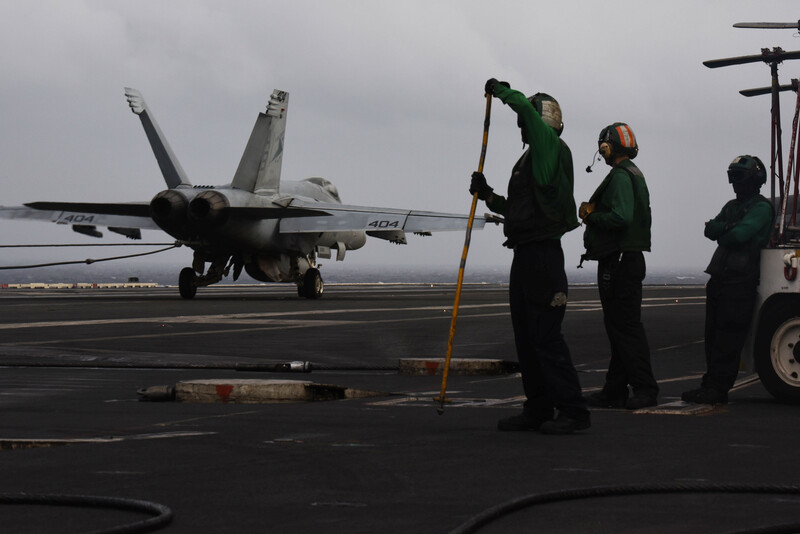 The “Tophatters” of VFA-14 from Naval Air Station Lemoore, Calif. The “Warhawks” of VFA-97 from Naval Air Station Lemoore, Calif. The “Vigilantes” of VFA-151 from Naval Air Station Lemoore, Calif. The “Wizards” of Electronic Attack Squadron (VAQ) 133 from Naval Air Station Whidbey Island, Wash. The “Providers” of Fleet Logistics Support Squadron (VRC) 30 from Naval Air Station North Island, Calif. The “Chargers” of Helicopter Sea Combat Squadron (HSC) 14 from Naval Air Station North Island, Calif. The “Raptors” of Helicopter Maritime Strike Squadron (HSM) 71 from Naval Air Station North Island, Calif. The leadership of DESRON 21 is embarked aboard Stennis and commands the guided-missile destroyers that are operating as part of the CSG. USS Stockdale (DDG-106), homeported in San Diego, Calif.
USS Spruance (DDG-111), homeported in San Diego, Calif.
USS Mobile Bay (CG-53), homeported in San Diego, Calif. 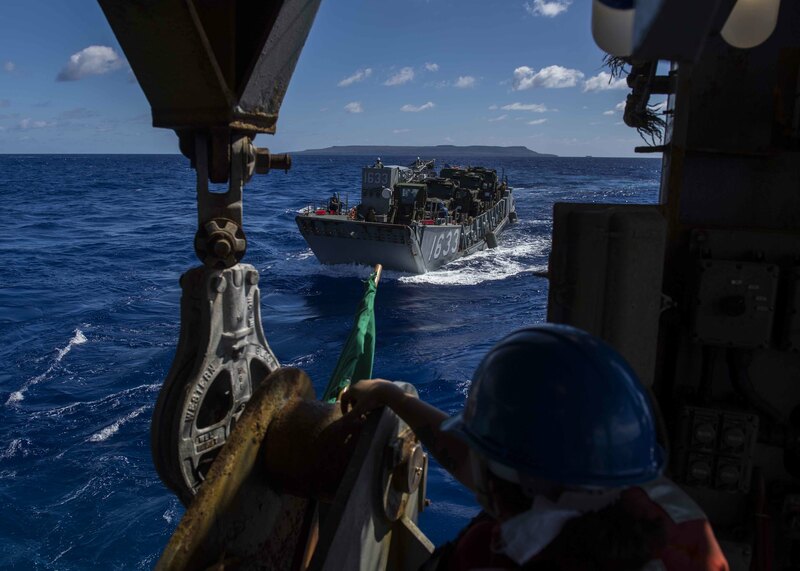 The Whidbey Island-class dock landing ship USS Ashland (LSD-48), assigned to Amphibious Squadron 11, with embarked Combat Logistics Battalion (CLB) 31 completed support to the Commonwealth of the Northern Mariana Islands’ civil and local officials as part of the FEMA-led Typhoon Yutu recovery efforts on Nov. 20. Besides Ashland, the remainder of the Wasp Expeditionary Strike Group is in homeport in Sasebo, Japan. The Essex Amphibious Ready Group (ARG) is underway in the Persian Gulf. 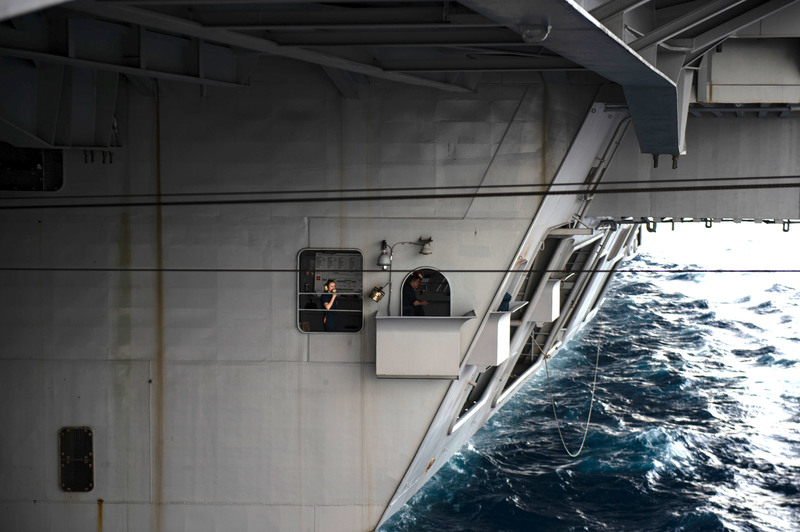 The ARG includes Wasp-class amphibious assault ship USS Essex (LHD-2), San Antonio-class amphibious transport dock USS Anchorage (LPD-23) and USS Rushmore (LSD-47), along with the embarked 13th Marine Expeditionary Unit (MEU). The ARG has been operating in a disaggregated fashion. 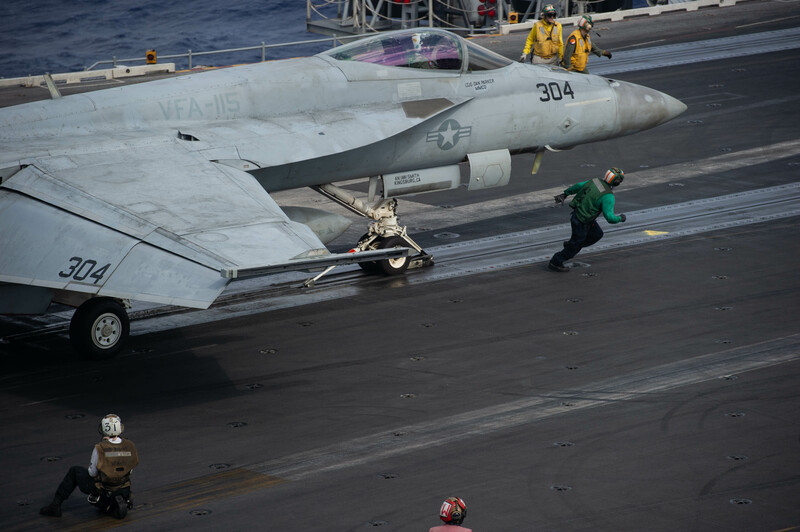 Anchorage has been operating in the Mediterranean Sea in the U.S. 6th Fleet area of responsibility, while Essex and Rushmore have been operating in the U.S. 5th Fleet area of responsibility. 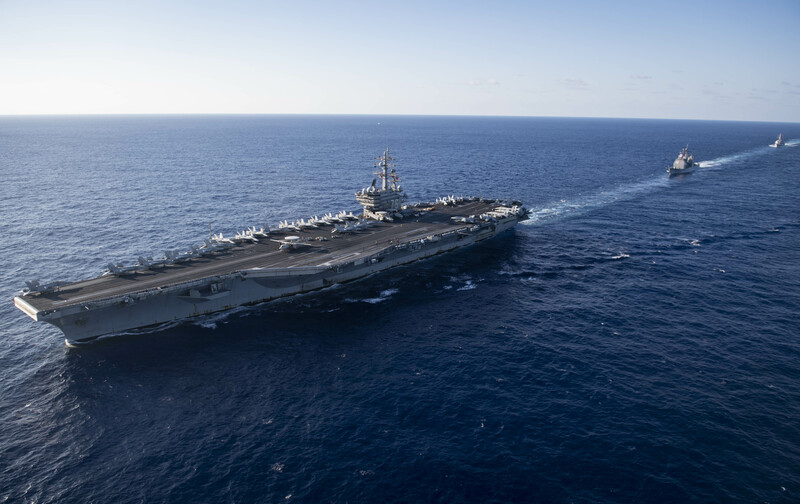 The Harry S. Truman Carrier Strike Group is underway in the center of the Mediterranean Sea. Chief of Naval Operations Adm. John Richardson and Master Chief Petty Officer of the Navy Russell Smith visited USS Harry S. Truman (CVN-75) on Thanksgiving Day. USS Harry S. Truman (CVN-75), homeported in Norfolk, Va. The “Red Rippers” of Strike Fighter Squadron (VFA) 11 from Naval Air Station Oceana, Va. The “Checkmates” of VFA-211 from Naval Air Station Oceania, Va. The “Sunliners” of VFA-81 from Naval Air Station Oceana, Va. The “Knighthawks” of VFA-136 from Naval Air Station Lemoore, Calif. The “Rooks” of Electronic Attack Squadron (VAQ) 137 from Naval Air Station Whidbey Island, Wash. The “Seahawks” of Carrier Airborne Early Warning Squadron (VAW) 126 from Naval Air Station Norfolk, Va. The “Rawhides” of Fleet Logistics Support Squadron (VRC) 40 from Naval Air Station Norfolk, Va. The “Dragon Slayers” of Helicopter Sea Combat Squadron (HSC) 11 from Naval Air Station Norfolk, Va. 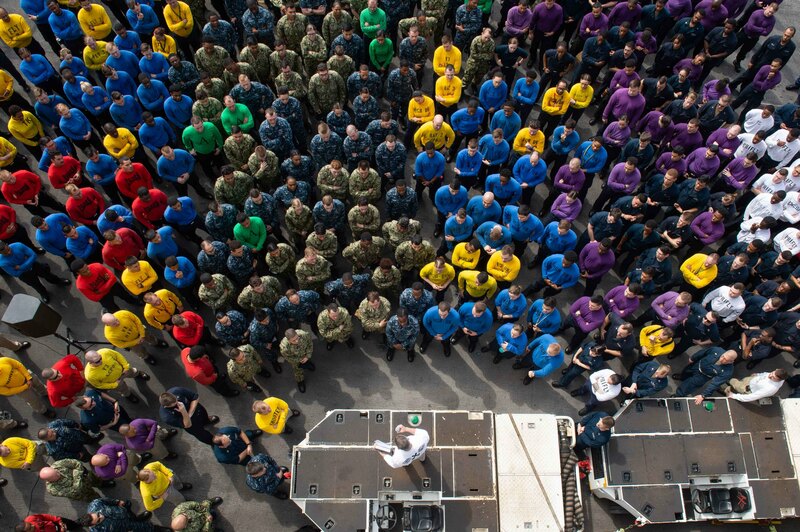 The “Proud Warriors” of Helicopter Maritime Strike Squadron (HSM 72) from Naval Air Station Jacksonville, Fla. 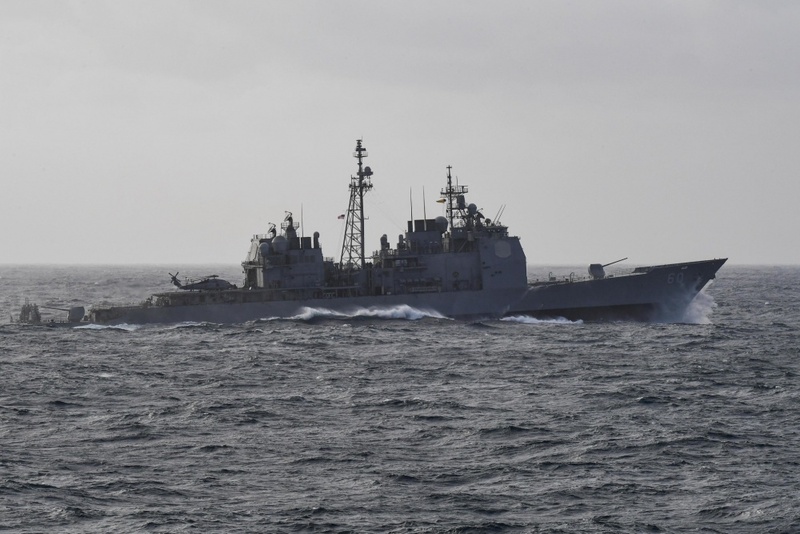 The leadership of DESRON 28 is embarked aboard Harry S. Truman and commands the guided-missile destroyers that are operating as part of the CSG. 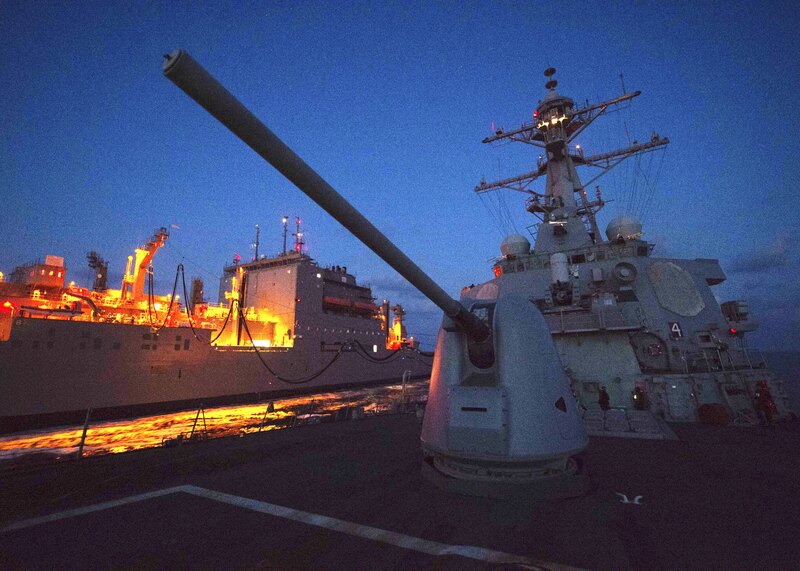 USS Farragut (DDG-99), homeported in Mayport, Fla.
USS Forrest Sherman (DDG-98), homeported in Norfolk, Va.
USS Arleigh Burke (DDG-51), homeported in Norfolk, Va.
USS Normandy (CG-60), homeported in Norfolk, Va. 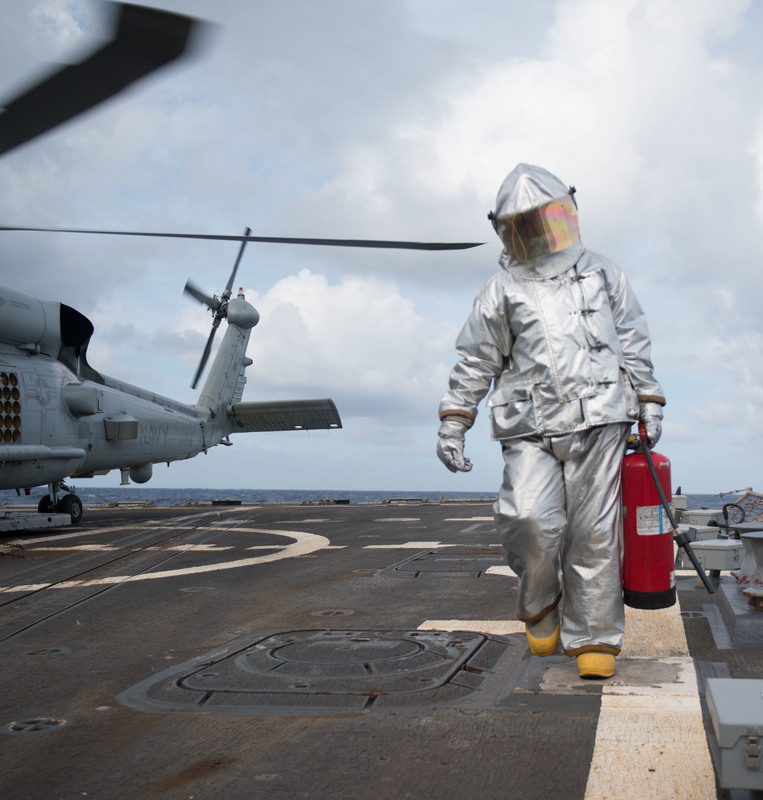 The Iwo Jima ARG with the 24th MEU embarked is in the Western Atlantic. It has “chopped” into the U.S. Fleet Forces/ U.S. 2nd Fleet area of responsibility. 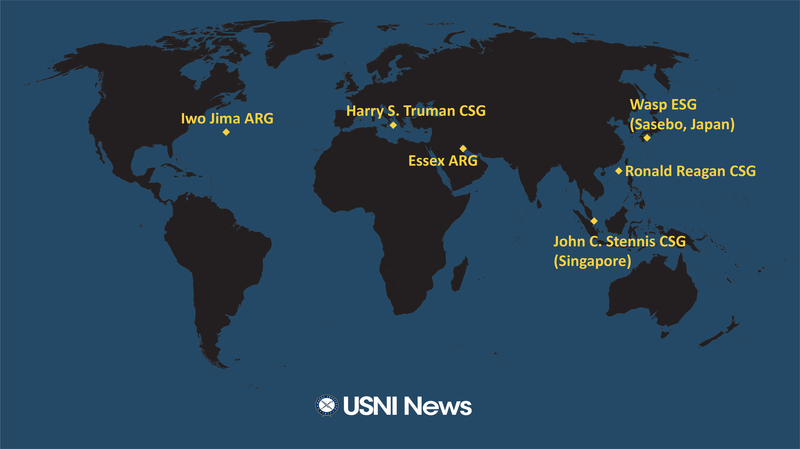 The ARG includes USS Iwo Jima (LHD-7), USS New York (LPD-21) and USS Gunston Hall (LSD-44). 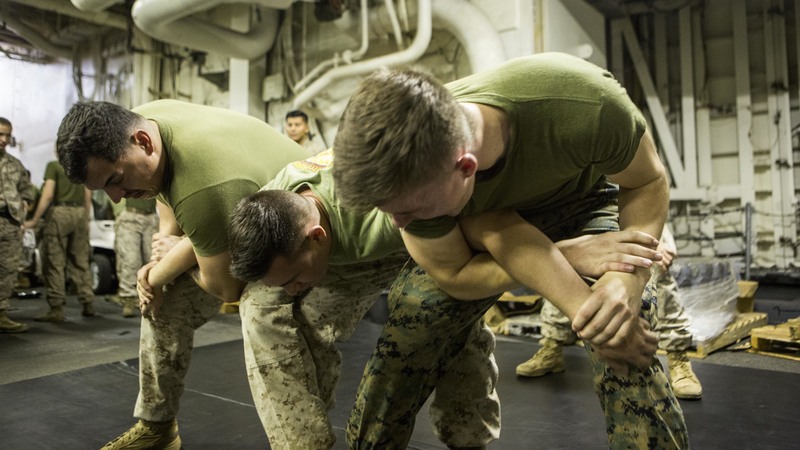 The Iwo Jima ARG recently completed amphibious exercises as part of Exercise Trident Juncture. 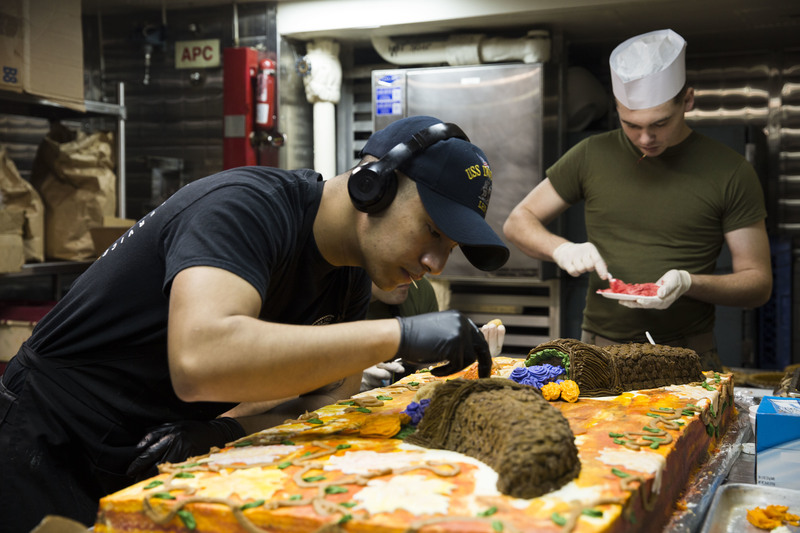 In addition to these major formations, not shown are thousands of others serving in submarines, individual surface ships, aircraft squadrons, SEALs, Special Purpose Marine Air-Ground Task Forces, Coast Guard cutters and more serving throughout the globe.